Dandavat pranams We would like to share some nectarean news about the activities of HH Jayapataka Swami Gurumaharaja that happened today Sunday, 18-01-2009. I did and he was very happy to hear this news. In fact this would be the first time that GM gives a lecture on a main day program in a temple, so it was a big mercy for all of us, and a big news for the devotees. This night I couldn´t sleep whole night as I had taken some ayurvedic treatment with Sirodhara and had good rest during the day so I went back to the hospital and stayed for some time with Ekanath Prabhu & Manohar Prabhu who were taking care of Gurumaharaja during the night shift and worked little bit on the computer and decided to remain awake till mangal aroti, so i went to the guest house took bath and went to the temple. After the program the announcement was made about Gurumaharaja delivering a lecture at 1:30 pm on today program. As many devotees were present foe Sunday mangal aroti, it was spread amongst all devotees that GM was coming today. Well, great, after the mangal aroti program HG Adiyog Prabhu approached me to request to Gurumaharaja to speak on whatever topic he prefers, been it from Srimad Bhagavatam, Bhagavad Gita or Sri Caitanya Caritamrita, but later on as it was a rare opportunity, he thought better HH JPS speaks on how to chant better the Mahamantra Hare Krsna and how to improve the sadhana, since more then 500 people would come if they know GM is coming today. Thus was the arrangement. GM as it was Sunday woke up little late and had his normal program in the morning with his breakfast, shaving, bath and facial therapy then took a very short rest and then Mahavaraha pr. Called me to see if the car and arrangements are done. Yes I said but in 20 more minutes, so it was all ready, then I went up to inform them and saw Dr. Shyamlal Prabhu and Dr. Gauranga Sundar Prabhu checking GM and talking with him on some health related topics. GM was administered the normal eye drops and also some medicines as he felt needing them before leaving. GM was taken carefully down from the car by devotees (in the car went Mahavaraha, Dr. Siromani and myself, while Bhadra Balaram and Ekanath Gaura, Dharesha, Ivesvara, Isvara, Srivas Pran das and others went walking). GM was pulled in the wheelchair by Bhadra Balaram and others, on the main gate His grace Kamalocan Prabhu was singing the Hare Krishna mantra and welcoming Gurumaharaja as many were chanting and doing kirtans. GM was taken to have darsan of Lord Jagannath Sri Baladeva and Srimate Subhadra first, then to Sri Sri Radha Giridhari Deities where His holiness offered flowers also, then to Srila Prabhupada where GM offered a big garland of flowers. It is important to mention that all these offerings are made with assistance of devotees as he cannot stand from the wheel chair to do that alone so GM touches the flowers or garland and raise his hands in Maha Mudra and offers them through a devotee. The time of lecture started, Siromani Mataji has been for longtime overseeing GM so she has been familiar with the words he talks, so we requested her to please repeat those words that we may not understand. While HG Kamalocan Prabhu translated everything into Hindi, He also welcomed GM and spoke little bit about his life as a devotee and senior disciple of Srila Prabhupada, including about his mission in Mayapur and in the congregational preaching programs around the world. HH Jayapataka swami started the lecture by thanking all devotees and their prayers for his recovery and for telling stories from the 1968 when he joined ISKCON and was close to HH Gopal Krsna maharaja at that time, as they were friends in USA and Canada and that when he used to be sick, HH GKG Use to take care of his seva and of him, as he is doing now as well. He also thanked the Bhaktivedanta Hospital and HH Radhanath Swami for their help and service. GM gave a lecture on the importance and the power of the Mahamantra, narrating stories based on Lord Caitanya´s teachings on the chanting and hearing, GM also told devotees about that the best way of chanting is in congregation or in a group and loudly, and that once he was asked by Srila Prabhupada to chant loudly, but then devotees complained to Srila Prabhupada that they were not able to concentrate as his voice was loud, so then SP said ok, go and chant in the park. 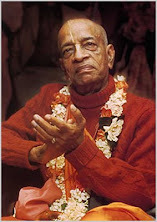 Gurumaharaja also informed us that Srila Bhaktisidhanta Saraswati Thakura Prabhupada introduced the system of Japa walking. GM also spoke about the importance of chanting at least one round with other devotees from the 16 rounds we have to. GM also spoke about the way of carrying the japas and the meaning of each finger inside the japa beads bag. HH JPS had a very good interaction with devotees that many times uses to give him a big chanting of haribol super loud and clapping during the lecture, as many good information and instructions that was encouraging, like becoming a crorepati by chanting 16 rounds daily, that means you are chanting 1 crore per year, and stories like this. It was very enlivening and very nectarean today’s lecture. Later GM spoke on the importance of Sadhana to increase in us the taste of chanting the Mahamantra, also spoke about the blessings that Srila Prabhupada made that all those who chant the 16 rounds will go back to Godhead, GM also spoke about the blessings of Lord Damodara and told us that a devotee in Malaysia once had an altar in a Bazaar and 60000 people offered lamps to Lord Damodar at that bazaar. GM asked how many people speak in Bengali and as many were there he spoke to them in bangla language. ( this reminded me of the welcoming speech to HH JPS by Dr. Dwarkadish prabhu during the 11th annual festival for the Bhaktivedanta Hospital where he said that (repeating the shastras) a time will come, when many people around the world, will start learning Bengali to read the pastimes of Lord Caitanya and that Jayapataka Maharaja started this long time ago. ( maybe GM is the first one in doing it. About this event I will send a special report with pics soon). 8 pm, GM gave darsan. At 8:30 pm had dinner while some matajies and young devotees did bhajans and then He had rest. Pending from my side are few reports that include the visit of HH Gopal Krsna Goswami and Bhakti Vrajendranandana Swami from Malaysia, both very dear disciples of Srila Prabhupada and both took sannyasa order from HH JPS Gurumaharaja. Also a report as I said on the anniversary of the Bhaktivedanta Hospital event. The mercy of Srila Prabhupada and Sri Krsna Caitanya Mahaprabhu are unlimited and make almost everything possible, as it has been happening with the recovery of HH Jayapataka Swami Gurumaharaja, although if we consider it for the last weeks, it is almost similar but today when I went to the physiotherapy section to see His Holiness, I found that for the first time GM was able to stand alone with the help of some holding bars under the guidance of the physiotherapist. In fact this gave us a lot of happiness to see his improvement, but my main report this time will concentrate in something amazing that has happened today, as I mentioned, by the unlimited mercy of the Supreme Lord in fulfilling the desires of his pure devotees and representatives of His mission as are the desires of thousands of devotees who gathered in Pune for the Annual Yatra festival, that this year brought 5000 devotees disciples of HH Radhanath Swami from all over India and many from abroad who gather annually to have lectures, kirtans, dramas and Krsna katha in association with their Gurumaharaja and very dear disciple of Srila Prabhupada as is HH Radhanatha Swami, for this occasion the organizers invites some senior Srila Prabhupada disciples to give them association, but the surprise this year which is the biggest yatra ever in Pune, that this time is organized by HG Krsna Candra das Prabhu in his big mansion house. Well the surprise is that the Chief Guest is His Holiness Jayapataka Swami. that although he is in a very limited physical condition, still, fulfilling the desires of thousands of devotees and after his miracle recovery was able and empowered by Krsna to travel for 5 hours by road to participate in this program that started yesterday 23 and will end on 26th of January 2009. The main desire is to have the association of the devotees. 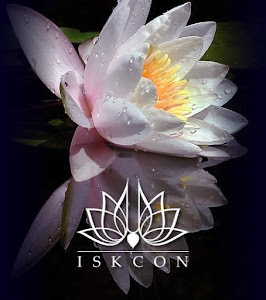 But in fact this is also part of the healing that His Holiness needs as it is his life and soul the preaching of the glories of the Holy Name Hare Krishna. A part from Gurumaharaja were also present as main guests Their Holinesses, Bhakti Caru Swami, Candramali Swami, Bhakti Visrambha Madhava Swami and HH Radhanath Swami for sure. It was not yet confirmed 2 days ago if GM could make it, but suddenly it was told that yes, maybe HH JPS can make it, although it is risky for his health, but as I say always, if Krsna did the special miracle for him to survive and be back with us, full conscious, with same intelligence and photographic memory? so why not empower him to go for this journey to be with devotees. It is really a special healing therapy for him and recharges his energy in all means, as it was like this. We left exactly at 1:27 pm from Bhaktivedanta Hospital Mira Road - Bombay to Pune (considered the Oxford of the east for the high class universities and colleges it has), it was unfortunate that not all devotees could come, I almost don’t come as place was not there since GM was taken with his bed by the small ambulance and only one extra car. Also we thought that maybe lodging would be difficult with so many devotees, therefore many were left, but I personally had a desire to be here as iw as invited few days before to come, but it was much better if we come with GM, so I prayed to Sri Sri Gaurnitai of our Mira Road temple that are placed in a preching bus, that if they so please that I go so begg them to help me with the arrangements, so it was done as I could manage a seat into the car. The journey was long and it was supper congested at one point so since GM was going in an ambulance in front of us it was possible for the driver to cross to the other side and cover the distances of long que of stuck cars on the original lane we suppose to use, so we followed them. we stopped 2 times on the way as one of them was at the begging of the Bombay Pune express highway. There Gm could take lunch Prasad. (Anesthesiologist), Dr. Siromani who also has long time doing seva appointed by the Bhaktivedanta Hospital, Mahabaho Govinda Prabhu the face therapist, Devaki dd and myself. A day before HG Dr. Shyamlal Prabhu along with Bhadra Balaram das came to Pune to check all the logistic work needed to bring GM and for his accommodation and for the servants. Also were present, Vasudeva, Madhava kanta and Divya Gopal prabhus. We arrive at 6:50 pm, devotees were calling always to see where we are, as they were very much eager and many wouldn’t believe, that are going to see HH JPS, after his health problems. Even HG Acarya Rathna Prabhu the in charge of Calcutta temple preaching program, came with 100 devotees for this program. As he informed us they all bought ticket to Bombay to go an see GM after the pune yatra, but were impressed in seeing GM coming to Pune, all by the mercy of Srila Prabhupada who is pleasing his disciples, who have taken the tasks of preaching the glories of Lord Caitanya as the main aim of their lives. HG Madhavanada Prabhu informed GM about the schedule and what he would like to do. Sr, Madhavananda is always requesting him to take rest and not to overload himself, but GM enquired about the program and he said it is ok I would like to be for some time with devotees, then HH RNS told GM we are having a big surprise for you maharaja, we are going to have now a drama on the appearance of Lord Narasimha deva´s Deity in Mayapur. This was very touching for GM, so he decided to get ready soon and go to talk few words on the stage then watch the awaited transcendental drama about the most merciful Lord-protector or the devotees. After 15 minutes it was announced that HH JPS will come soon and devotees starting shouting haribol, haribol, haribol. GM reached the stage and the mood was all amazing how 5000 devotees were all impressed and super happy as they wont believe it as many of them expressed to me that GM was there on the stage and was able to come from far away by road. GM was welcomed by a speech of HH RNS and then GM spoke about the preaching, about Pune city as it is where iskcon has the main iskcon youth forum programs, about preaching in prison etc. thanked all the devotees for their prayers, thanked them and HH RNS for praying during kartik parikrams this year and thanked the sannyasis devotees present in this program and thanked Srila Prabhupada for all this. He was very much happy and told them now I want to see the drama about Lord Narasimha deva. All laughed. The drama was great and followed the story as it happened. ( we may transcribed it tomorrow). GM was very happy with the drama s were all the devotees and guests present, since as per the story was nothing easy to have an Ugra Narasimha deity. The drama ended with prayers to lord Narasimha deva and arati. After this HH JPS went to his room for prasad as the other sannyasis went to the dinning hall for prasada and many were chatting till late night. In between HH Bhakti Caru swami and HH Candramali Swami used to come close to us to enquire about the progress in the health of Gurumaharaja, it is also important to mention that yesterday HH Bhakti Caru Swami along with HG Brajahari Prabhu went to Bhaktivedanta Hospital to be with Gm and chatted for 2 hours. I am trying to send few pics in a sip folder along with few of them in a normal format. Srila Prabhupada Ki jay, Pune YATRA Ki jay.